All examples and stocks quoted here in this article and on the ProButterflyTM site are for learning purposes; it does NOT constitute a Buy/Sell recommendation. Contents are reflective of personal views and readers are responsible for their own investments and are advised to perform their own independent due diligence. If in any doubt about the investment action you should take, you should consult a professional certified financial advisor. Late last month, we penned our thoughts about Amazon’s South East Asian (SEA) ambitions. If you haven’t had a chance to read our opinion piece entitled Examining The Impact of Amazon’s SEA Ambitions. We covered how we think its business modal works and how it could potentially impact the landscape of online retail here in SEA. We also tested Amazon Prime Now's service and shared our experience. One of the afterthoughts that we had after writing the article was to look at potential opportunities to invest in REITs and real estate related businesses which could potentially benefit from the rise of the e-commerce trend. So last week we followed up with an analysis of Mapletree Logistics Trust. Amazon is currently operating its fulfilment centre out of Mapletree Logistics Hub on Toh Guan Road which is owned by MLT. Another one of the anticipated impact we imagined is the potential fallout on traditional shopping malls in Singapore as a result of the growing e-commerce trend. Therefore this week, we decided to take a closer look at the listed retail REITs in Singapore to see if we are able to pick up any noticeable impact on them over the last 5 years. We start by tabulating the latest available metrics on each of the REITs. We picked REITs which have a significant retail component (eg shopping malls). Therefore some REITs like Suntec REIT and OUE Commercial REIT were left out. While these had retail assets, they are still predominately an office real estate play. Some of the included REITs such as CapitaMall Trust and Mapletree Commercial Trust have non-retail components such as offices but have been included as retail assets are make up a larger proportion of their revenue and net property income. Some REITs like Starhill Global REIT and Fraser Centrepoint Trust also own assets outside of Singapore, however the majority of their asset are located in Singapore and are therefore simply classified as such. We then take a simple average of all the REITs Gearing, Price-to-NAV (per Unit) and Annualised DPU Yield to get the industry average. 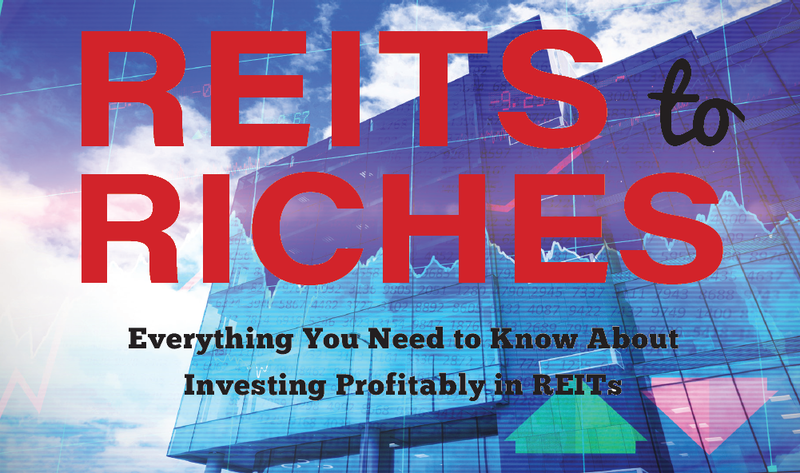 REITs whose metrics are better than the industry average is highlighted in green. The Gearing is the amount of debt that the REIT has taken on and we use that as a proxy of risk. The lower the gearing, the lower the risk. The Price-to-NAV per Unit (NAVPU) is an indicator of valuation. The lower the NAVPU, the lower the valuation. Finally, the Annualised Distribution Yield (Yield) is an indicator of reward. The higher the yield the higher the reward. This metric has been calculated on a per Unit basis. We first pick the retail REITs which have the lowest risk based on gearing that are below the industrial average. Next, we pick the REITs which have the lowest valuation so that we know that we are getting a good price for their assets. Based on these 2 simple criteria, we are left with only Fortune REIT which gives us a reward of 5.24% yield. Beside Fortune REIT, Lippo Malls Indonesia Trust also stands out as it currently provides a high reward despite a lower than average risk. Valuations though is a little high at the moment, but it is worth keeping an eye for us to add to our portfolios in the future. Some REITs such as BHG REIT and CapitaRetail China Trust have elevated risk but compensated by higher rewards. Other REITs such as Starhill Global REIT and Mapletree Commercial Trust have elevated risk but the rewards are low and does not seem to justify the risk that we are taking at this valuation. As Fortune REIT and Lippo Malls Indonesia Trust seem to stand out from the rest, we will consider taking a closer look into them in future analysis which we will post on ProButterflyTM in due time. 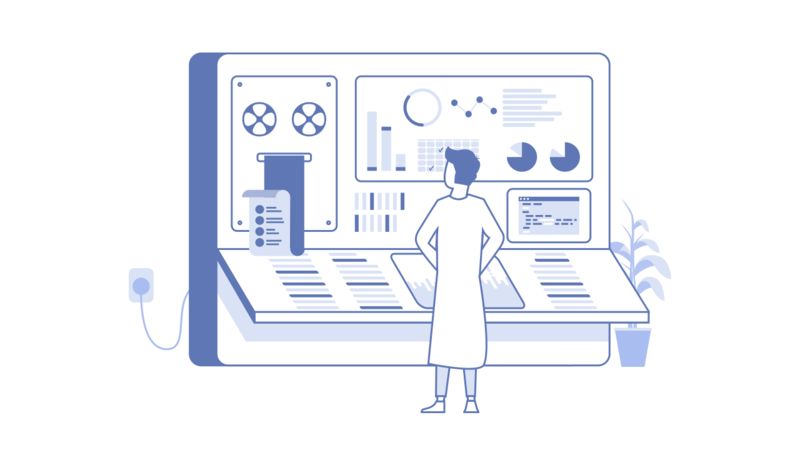 Our hypothesis is that by observing the trends of revenue, net property income and distributable amont over the last 5 years, we could arrive at some observation with regards to the e-Commerce impact. By further classifying these REITs into their predominant geographic region, we could observe how pronounced the impact has been on those specific regions. We have left out SPH REIT they have not been listed long enough and their data only goes back to 2014. The forecast figures for F’2017 is derived based on the latest partial quarterly report from the various REITs and annualised. Gross Revenue, Net Property Income and Distributable Amount has been rising at a compounded rate of 4.51%, 5.41% and 7.10% respectively. Viewpoint 1: The collective revenues and incomes of Singapore asset focused REITs don’t appear to have been affected at all by the rise of e-commerce in the last 5 years. The REIT managers having already anticipated the rising e-commerce trend have since taken pro-active steps to enhance their offering. For example by increasing the number of GFA allocated to F&B outlets, increasing experiential retail (entertainment centres, cinemas…etc) which is more difficult for the internet to replace and increasing service based retail (eg spas, hair salons, nail treatment centres, medical suites, childcare centres, tutoring centres…etc). Viewpoint 2: We are still in the early stages of the rising e-commerce trend in Singapore, therefore the impact has still not fully cascaded down and will hit the retail sector hard in the coming years. 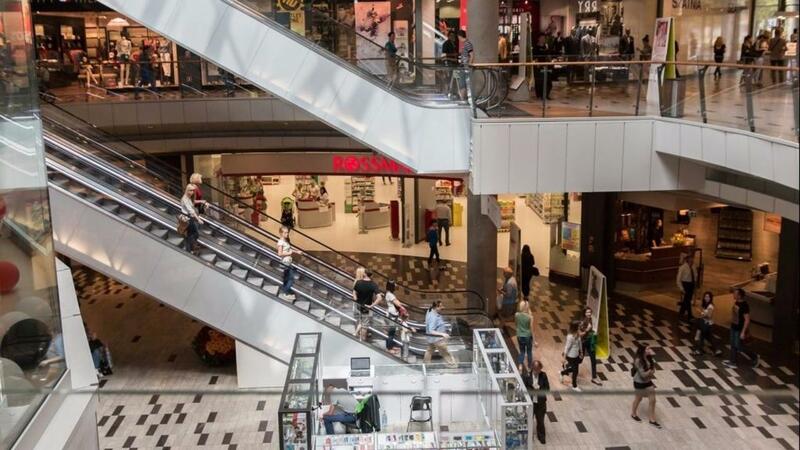 If an investor believes in Viewpoint 1 where traditional brick-and-mortar retail will co-exist to complement e-commerce then retail REITs are still a viable investment sector to consider for dividend income. Investors taking this view should be selective of the REITs that they choose and are satisfied that management is actively taking steps to defend its occupancy rates and rental income. They can also complement and diversify their income sources with a fraction of their portfolio allocated into REITs which services the e-commerce players such as EC World REIT and Mapletree Logistics Trust. If an investor is in favour of Viewpoint 2, they should stay away from retail REITs and instead channel their investment funds to invest directly in beneficiaries of e-commerce. Now that we can see that the overall trend for retail REITs in Singapore appear generally resilient, let’s break the chart down to the individual REITs for a closer inspection. CapitaLand Mall Trust appears to have a fairly flattish pattern in the last 5 years. Going forward in 2017, it appears to show signs of weakness. It is likely due to the absence of contributions from the closure of Funan Mall since 30-Jun-2016. Funan is expected to reopen for operations again in 2019. Fraser Centrepoint Trust also shows weakness in its 2016 and 2017 figures. This is likely due to phase shutdown of its major Northpoint Shopping Mall opposite the Yishun MRT for enhancement works since Mar-2016. The newly rebranded Northpoint City is expected to reopen for business in Sep-2017. Therefore we would likely see its full contribution in FY2018. Mapletree Commercial Trust on the other hand has been showing a rather phenomenal growth since 2015. This is likely to be due to the inclusion of Mapletree Business City I which was acquired on 25-Aug-2016. As the financial year for MCT is ends on 31-Mar, this large asset added 7 months revenue and income to the trust in FY2016/17. The full contribution from this new asset is expected in FY2017/18. As Mapletree Business City I is not exactly a retail mall, this increase in the FY2016/17 and FY2017/18 numbers would have likely compensated for other REITs such as CapitaLand Mall Trust and Fraser Centrepoint Trust and Starhill Global REIT which shows a declining pattern. This may have distorted the overall growth rate calculations made earlier. More regarding Starhill Global REIT’s declining metrics later. SPH REIT also shows a gradual increase in all 3 metrics. It is important to note that SPH REIT employs some amount of income support for distribution to support the rental income from Clementi Mall. Income support in SPH REIT clocked-in at $5.1mil, $3.0mil and $2.4mil respectively for FY2014, FY2015 and FY2016. For FY2017, it is forecasted to be at $1.3mil. Despite the slow withdrawal of the income support, SPH REIT still shows a rising revenue and income trend which probably indicates that the overall portfolio rental has been rising to compensate for the fall in the income support. Finally, we notice the Starhill Global REIT also shows a trend of falling revenue and net property income since FY2015. However there are no major change in its underlying asset to reasonably explain this fall in the figures. Management in its presentation slides for full year FY2016/17 explains the year-on-year decline due to “lower average rents partially offset by a one-off recognition of pre-termination rental compensation” for Wisma Atria and “Plaza Arcade planned redevelopment works, lower revenue at Myer Centre Adelaide partly due to vacancies and outgoing adjustments, allowance for rent arrears as well as higher expenses” in Australia and “mall repositioning at the China Property and loss of contributions from divested properties in Japan.”. Overall, it certainly does sound like rental weakness in Wisma Atria, Australia and China. Investors invested in Starhill Global REIT should observe the performance of these assets going forward in FY2017/18 to ascertain if these are one-off situations or a long term slow structural decline which may hurt the performance of Starhill Global REIT in the future. For the other regional REITs with assets outside of Singapore, we are not able to analyse the entire market as one REIT in the region is likely not going to be representative of the entire market. However, we can simply just observe their revenue and income trends. Starting with Lippo Malls Indonesia Retail Trust (LMIR), we can see that all 3 metrics have been rising over the last 5 years. The revenue and income took a significant hit in FY2014 due to a sharp decline in the Indonesia Rupiah. The management of LMIR mitigated the effect of the declining Rupiah by putting in currency hedges as a countermeasure. This helped stablise the effects of the declining Rupiah for shareholders receiving distributions in SGD. In China, CapitaLand Retail China Trust also appears to show an uptrend which indicate that it was relatively unaffected by the e-commerce rise in China. However going forward, will they be disrupted by Alibaba and Tencent? Or will they continue to thrive by adjusting their offering and co-existing and complementing the online retailer’s offerings? Investors should pay close attention to this risk going forward. BHG Retail REIT was not included in the analysis as there was not sufficient data points to plot the chart as it was only admitted to the mainboard of SGX in Dec-2015. Finally, we have Fortune REIT which appears to show that their growth is slowing with a tapering off pattern fairly pronounced from FY2015 to FY2017. Has it been among the early victims of the rising e-commerce trend? Could this be the reason why investors have shun this stock? Has its falling rental growth rate affected investors’ confidence? Is it simply because its trades at very low yields of 5.24% despite trading at low valuations? At this point in time, it does not seem like the e-commerce trend has had significant impact on these retail REITs in the past 5 years. However it is entirely possible that the impact has not been fully felt yet as e-commerce has not taken off in a significant way until now. Does the recent entry of Amazon to SEA signal a new phase in online retail for SEA? In general, our comparative analysis also appears to show that prices of retail REITs at time of writing are trading at high prices and perhaps it might be prudent to wait a little longer for a price correction before adding any retail REITs to our portfolio. We favour being selective on REITs which have lower than average gearing and Price-to-NAV per Unit. Besides retail REITs, we also favour complementing our investment portfolio with REITs which are able to benefit from the rising e-commerce trend such as EC World REIT and Mapletree Logistics Trust. The author at time of writing does not hold any stake in Mapletree Commercial Trust, SPH REIT, Lippo Malls Indonesia Retail Trust, CapitaLand Retail China Trust, BHG Retail REIT and Fortune REIT. 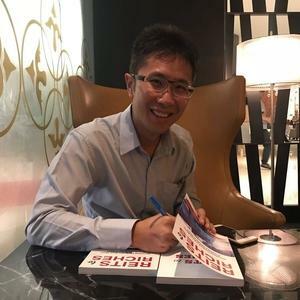 The author at time of writing hold stakes in CapitaLand Mall Trust, Starhill Global REIT and Fraser Centrepoint Trust.